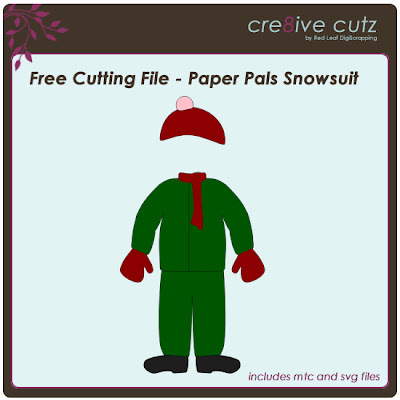 Since we're starting to get some snow here, I thought a winter outfit was appropriate for my little Paper Pals. A two piece jacket, snowpants, boots, mitts, scarf and toque are included. And if you haven't picked up the Paper Pals doll body yet, you can grab it here. Just click on the preview image to download the files. MTC and SVG files are included in the free download. Enjoy! Thank you so much for this post. 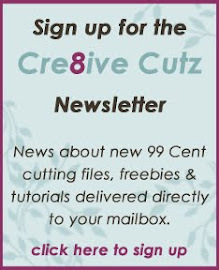 I want to let you know that I posted a link to your blog in Creative Busy Hands Cricut Freebies Search List, under the Elements post on Nov. 01, 2010. Thanks again.